I was cleaning up my hard drive when I came across these pics I forgot to post last year. 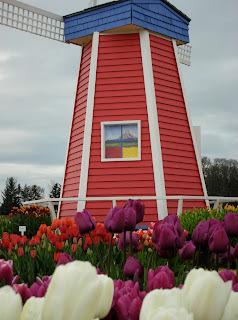 I took these photos when we went to visit friends in Oregon - that was around this same time last year, almost spring :o) Tulip festival cannot be described with any word. I'd let the pictures speak for themselves. Hi Bern, wow! You're right, you didn't have to say anything, the pictures are gorgeous! ganda ng shots mo sis :) kakainggit galing2x mo na! take care gals and thanks for dropping by! hugs! awww.... i'd love to enjoy a tulips field myself...ang ganda ganda no?